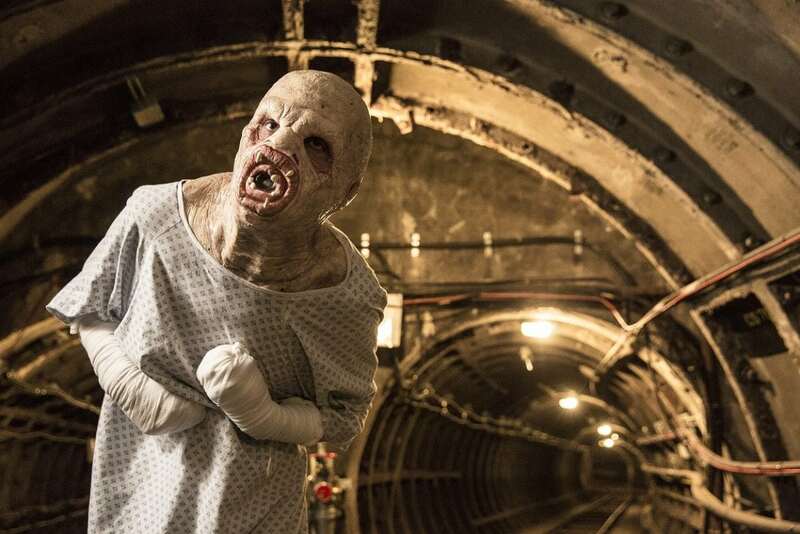 The UK’s first alien autopsy was performed last night in front of astounded guests in the subterranean lair of London’s old mail rail tunnels. Members of the public were invited to the yet-to-be-opened Postal Museum in the spooky Mount Pleasant sorting office for the event hosted by Audible, to launch X-Files: Cold Cases. They were joined by former Ministry Of Defence UFO expert Nick Pope who has been described as a ‘real life Fox Mulder’. With Pope on hand to oversee, the autopsy was carried out in a similar way to if a real life invasion was to happen. Other than a hoax alien autopsy video which was submitted to the Ministry of Defence in 1995, this could be the closest as we have come to performing an actual autopsy. 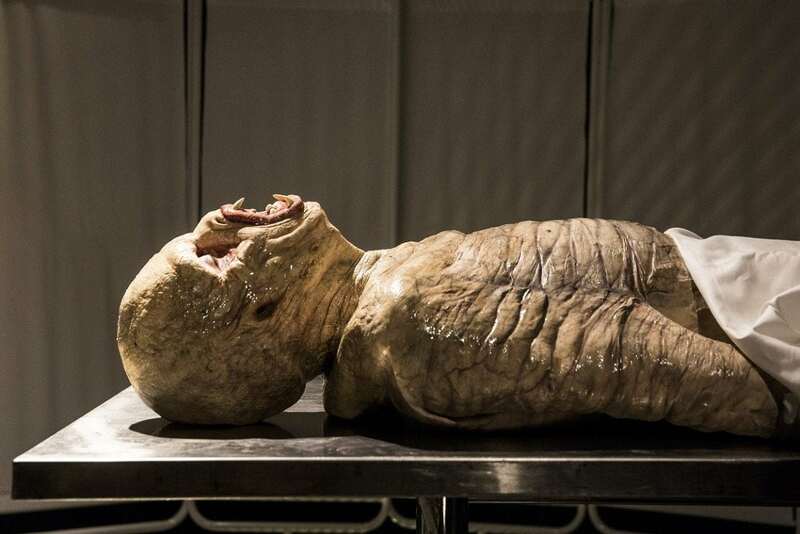 Pope said: “If we were to conduct an autopsy with The Flukeman from X-Files, I’d advise finding out all about its DNA, taking multiple samples to profile to help build an idea around what the Flukeman’s weaknesses are – so we can be prepared for any future attacks. “One possible danger to bear in mind is the impact a possible alien autopsy would have and the threat of intergalactic war. “Think of it this way – if a soldier from another country came to the UK and we chopped him apart his country wouldn’t be best pleased. Pope researched and investigated UFOs, alien abductions, crop circles and other strange phenomena to determine their defence significance for the Ministry from 1991 to 1994. Having been lucky enough to work on the real-life X-Files at the Ministry of Defence, he said there are some spooky parallels with the fictional world in which Mulder and Scully are involved in. And when it comes to the potential threat of alien invasion, he says government has no set plan. Speaking at The Investigation Bureau event, Nick Pope said: “Recently the National Archives released some files from the now-disbanded UFO project, detailing once highly classified documents covering UFO sightings, alien abductions, crop circle appearances, animal mutilations and even a government project to try to recruit psychics!